My seven year old daughter, Hannah loves to wear jewelry but it is difficult to find high quality, attractively priced children’s jewelry that is age appropriate. A few years ago, Alexander Singer also had the same problem when he wanted to buy his own daughter stylish children’s jewelry. This innovate dad decided to create his own children’s jewelry collection…….and Chanteur Designs was born! Chanteur Designs is an online shop that sells stunning children’s jewelry that is both quality made and attractively priced. From fashion forward earrings, bracelets and bangles featuring hearts, butterflies and flowers there is sure to be a beautiful piece of jewelry that girls are going to adore. It includes lovely collections such as Swarovski Elements, Swarovski Enamel, the CZ Collection and CZ Enamel. My daughter loves sparkling jewelry and the Classic Heart Bracelet with Swarovski Elements ($42.99) is absolutely stunning. It is delicate yet durably designed for little hands and can be adjusted with a one inch extension to fit the child’s wrist size. 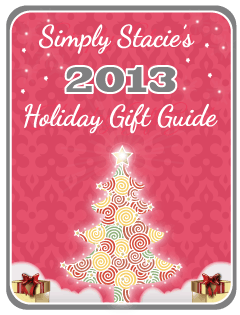 You can also choose from two different sizes for children up to age 5 and little girls ages 5-12. I love that this piece is lead and nickel free so that alleviates my fear of most other brands of children’s jewelry on the market. The Swarovski crystal stones sparkle without being overpowering and it is such a lovely piece for stylish young ladies. The Chanteur Designs Bangles (pricing starts at $42.99) are beautifully crafted and features Enamel with Flowers and Heart Bangle Sets with Swarovski Elements. The artistry and impressive attention to detail of the Enamel Bangle is quite nice and it looks even lovelier up close than it does on the website. These classic pieces can be worn alone or layered and it has the look of elegance for special occasions or every day wear. These bangles are also lead and nickel free too! Hannah does not yet have her ears pierced but will be allowed to get it done soon. My primary concern about letting her get her ears pierced has been that there are not age appropriate, quality earrings for little girls. 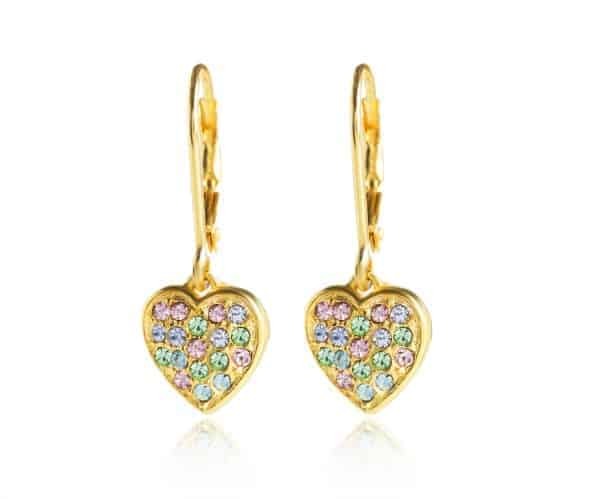 When we do decide it is time to get her ears pierced, I will definitely be purchasing a few pairs of the pretty earrings such as my favorites, the Pink Flower Screw Back Earrings with Swarovski Elements ($34.99) and the Huggie Earrings collection. Overall, I am very impressed with the children’s jewelry collection available at Chanteur Designs. These show-stopping pieces would make wonderful holiday gift ideas. You are invited to visit Chanteur Designs to browse the entire jewelry collection…..which piece would be your favorite surprise to give to your very special young girl? Connect with Chanteur Designs on Facebook and Twitter. I think my niece would love the pink heart bangle. I love the light blue heart bangle. I like the red enamel CZ Butterfly Bracelet. Thanks. 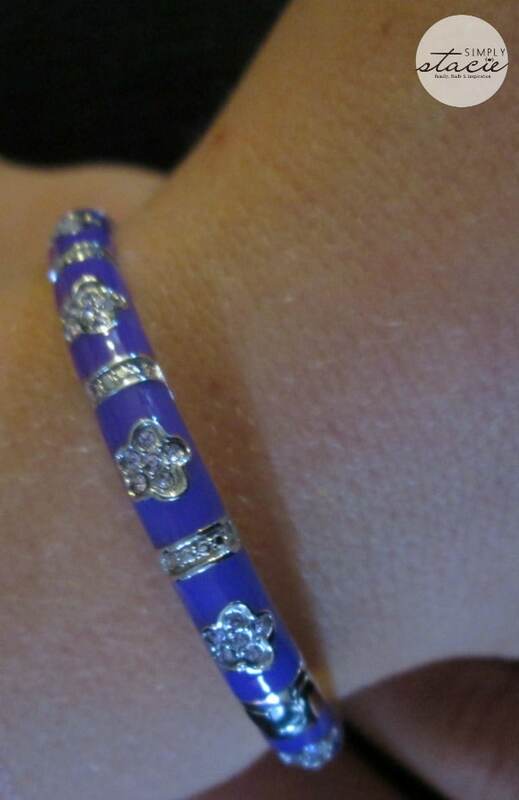 I love the White Enamel Bangle Bracelet with Pink and Blue Stones. So lovely, science losing my job I haven’t been able to treat myself or even afford Christmas presents for anyone..would be nice to win to give to my mother. My little girl has her room all decked out in butterflies and dragonflies, so I absolutely love the multi-colored butterfly screwback earrings made with Swarovski elements. love anything covered in swarovski crystals !!! My favorite piece of children’s jewelry is the multi-colored butterfly screwback earrings. I like the Floating Stones Heart Leverback Earrings made with Swarovski Elements. We’re actually getting it back in stock this week. The pink one like that was put back in stock yesterday! I like the classic mixed colors bracelet that matches the earrings in the giveaway! I love their Purple Enamel CZ Butterfly Leverback Earrings!